If your visa application is approved, your passport and visa will be returned to you via the courier. 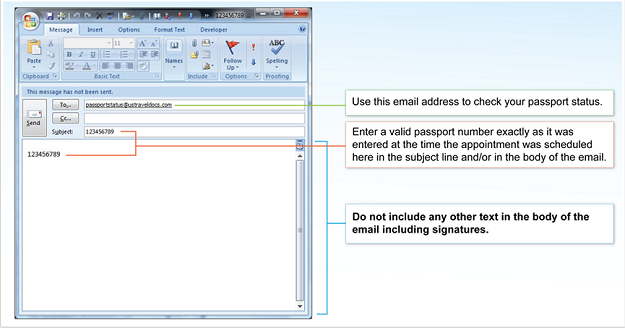 You will receive a notification via e-mail and SMS as soon as your passport is ready to be delivered to you. You may choose to have your passport and visa returned to your home/business address in Austria or collect them from the pick-up office in central Vienna. You have the option to pick-up your passport from the pack&weg! office located on 1050 Wien, Kettenbrückengasse 5. Please find the location here. You must collect your passport within 7 calendar days. After that, your passport will be returned to the Embassy/Consulate. When you come to the pickup point to pick-up your passport, you need to present a valid photo ID (passport, driver’s license, identification card). If somebody else will pick-up the passport on your behalf, that person will have to present the parcel number and a valid photo ID (passport, driver’s license, identification card). With this delivery option, your passport will be returned to the delivery address indicated on your profile. There is an additional fee to be paid for this service in the amount of EUR 13 (VAT included). This premium fee is paid at the time of scheduling the visa interview. You will receive a notification via e-mail and SMS as soon as your passport is ready to be delivered to you. Once you receive the tracking number you may check the status of your delivery here. The courier will make 2 delivery attempts for express shipments. If the intended recipient is not available to sign for the package, another person at the same address may provide a photo ID and he/she can receive the shipment. In the case of failed delivery attempt, if the recipient is not available, a notice will be left at the delivery address. Generally, the second attempt is made on the next day. In the case of undelivered shipments, DHL will return the shipments back to the consulate. In the event that an applicant’s visa is refused, applicants are entitled to a refund of the Premium Service (Home Delivery) fee as purchased by Credit/Debit Card on the www.gtspremium.com website only. Within 5 business days of the Visa refusal, applicants must send an email to refunds@gtspremium.com along with their DS-160 number. Once received, GTS will review the refund request and once validated GTS will issue a refund to the applicant’s card on file within 10 business days. Applicants who applied via a group payment and who were denied a Visa are also entitled to a refund by following the above steps. Refunds are not permitted under any other circumstances. We strongly advise you not to change the pick-up location after the time limit. Any changes to your desired pick-up location after this time limit will lead to a delay in your passport delivery. When the status shows "ready for pick up", it means that DHL is about to deliver your passport at the address indicated during the appointment scheduling process.